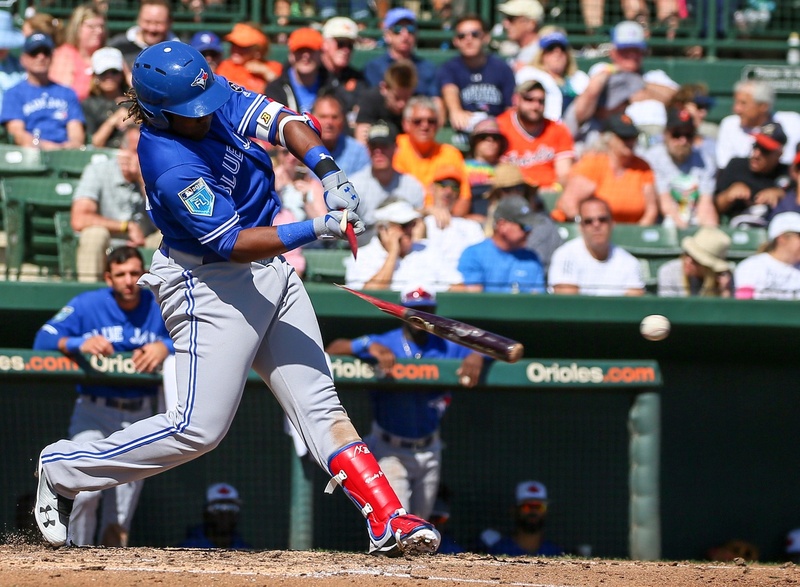 If you’re a Jays fan, you’re aware of Vladimir Guerrero Jr and Bo Bichette. Even if you’re not a Jays fan, if you follow prospects at all you’ve probably heard their names, atop many a list of rising stars, players ticketed for stardom sooner rather than later. Our fans are excited, and rightfully so. We don’t need to spend any time singing their praises, because enough people do already. If I seem reluctant to pile on the praise, that’s intentional. It’s a blind spot for me, a rare time where I can’t be analytical, thoughtful, thorough — all the things I try to be when I write here. It’s not just that I don’t have the tools to analyze them (because I definitely don’t), but also because I can’t be objective. I see the praise, the hype, and I instinctively want to pump the brakes on the hype train, remind people that they’re barely adults, awfully young to have so much pressure heaped on them by us, tweeting and hoping for them to lead the next Jays team to the World Series. But then I wonder if I’m really being objective. If I’m playing defense for their sake or mine. If it’s just that I’ve been burned before. Because I get the excitement, I do. I had it, once, in a different time. Was it because I was younger, more naive, more hopeful? Because I knew less about baseball than I do now? While those things are all true, I still can’t be sure of my current motivations. I can’t be sure of why I feel this compulsion to tamp it down, to not be excited about two incredibly talented players. Maybe it’s because I see Vlad and Bo, and I think of Travis Snider. Jays fans of a certain vintage will remember Travis Snider. He was the can’t-miss prospect of that long ago. The Jays’ first-round pick in 2006, a stocky outfielder with a beautiful left-handed power swing and a good arm. He was going to win multiple MVPs, be the cornerstone of the lineup for years. Snider blazed through the minors, reaching the majors by the end of August in 2008. 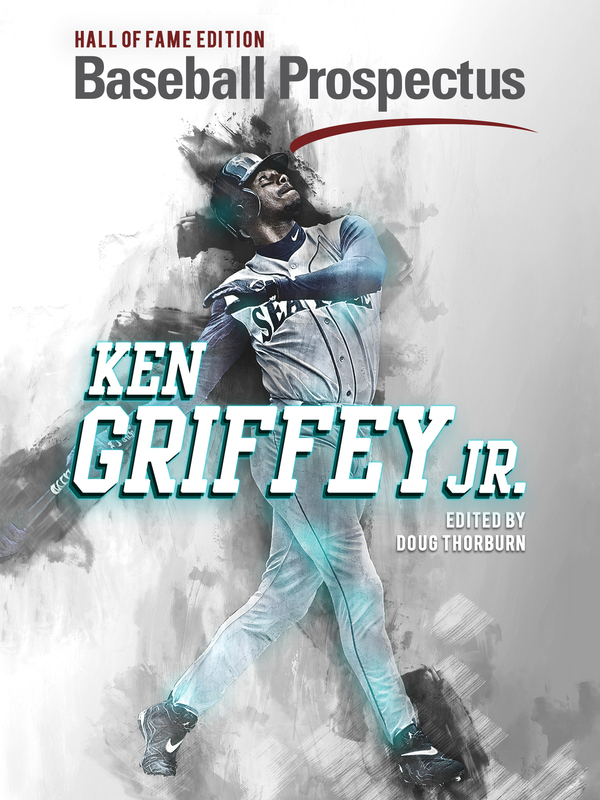 He was the youngest position player in the majors at the time, and those that were high on him as a prospect saw things to get excited about: the prodigious power, the strong arm, the gorgeous swing. There was hope in him — hope that we projected onto him. Yet despite the quick ascent, Snider never really stuck in the majors. He showed flashes of the power, the arm, all the things that had people expecting greatness from him. But he never really put it all together. There were any number of guesses why, and they could all be right. Maybe Snider was rushed: Then-GM JP Ricciardi was under fire, had to show some progress after too many disappointing seasons, and picked the golden boy, the one can’t-miss ace in his pocket. Snider was his ticket out, the thing he could point to and say “See? I do know what I’m doing!” Snider was going to come up and succeed, be that cornerstone that all the prospect hounds thought he was going to be — but Ricciardi’s job anxiety messed that all up. Maybe his development was muddled: Legendary Jays manager Cito Gaston was old-school, a bad fit for the young man’s initial major-league tour. Gaston messed with his swing, that perfect swing, the one that had all the power that made scouts excited. Gaston was once a savant as a hitting coach, but the game had passed him by, and his last lap with the Jays was one that tripped Snider up, made him fail. Or maybe it was something personal, a internal weakness, that made Snider miss. Sorrow, grief. His mother and grandparents all dying tragically in ways that would scar anyone to the core. Something mental, something impossible to diagnose. This kind of speculation is abhorrent, but the whispers were there, as a can’t-miss prospect continued to miss. We spoke of hope earlier, and projecting, which is something we do in prospects. I projected that hope onto Snider, as so many Jays fans at the time did. I projected hard. I wanted him to be great. I saw the swing (left-handed, like me), the power (very much not like me), the arm (again, very much not like me). I saw that cornerstone, the franchise player, the multiple All-Star selections. I bought the jersey, a bland white one, the number 45 emblazoned on the back in the boring grey of the time. I still have that jersey. It sits untouched in my closet. I can’t get rid of it, despite knowing with 100 percent certainty that I won’t wear it again. I’ll go through the closet, maybe later this year, and pause. I’ll think of Snider, of the hopes and dreams, the can’t-miss prospect who missed. I’ll wonder, again, about how and why, about the mystery of baseball. When I think about it, though, it’s not Snider’s failure that bothers me. Because he didn’t fail, not really. He reached the highest level of baseball, was one of the top 600-ish players in the world, went farther in his chosen profession than I ever will in anything. It’s my own disappointment that lingers. I let myself get excited about Snider, thought he was going to be a star, and was let down. I expected too much from a young man who didn’t ask for those expectations. 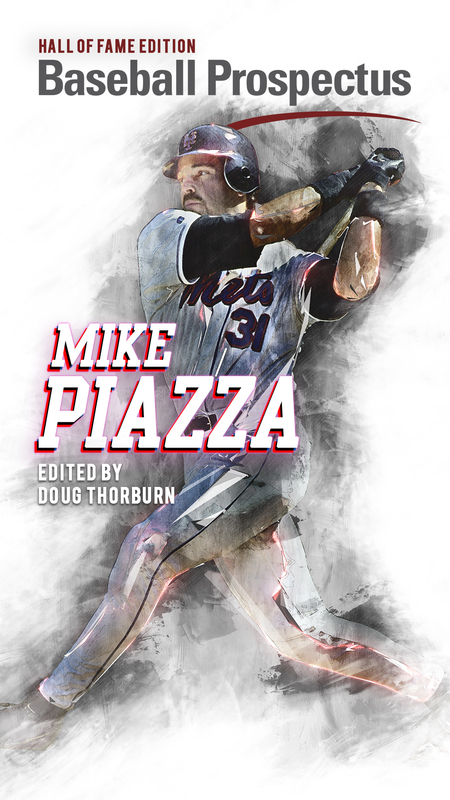 He didn’t need my breathless anticipation, my clearing out a corner outfield spot for him to nail down, my oohing and aahing over those light-tower home runs, writing him down for 40 of those home runs a year well into the 2010s. It’s simple, really: I got excited about Snider, and he didn’t make it, and now I won’t get excited about any prospect. It’s irrational, and maybe a little dumb, but that’s what happened. Snider’s is not a unique story. Such disappointment happens with prospects all the time, for all kinds of reasons. But I can’t separate myself from him. He was the one I connected to. And now, several years removed from his trade deadline departure, I’m trying to slow the roll on a new generation of Jays talent, one that has zero connection to a meat-loving outfielder who hasn’t worn Jays blue since the aughts. Baseball is uncertain, and that can be cruel. But that uncertainty is also what makes it great. For all I’ve learned over the last several years about evaluating baseball, about how to measure and explain it, so often things happen that we can’t explain. A light-hitting shortstop comes to the AL East and hits 20 home runs, a pitcher jumps from high-A to the big leagues and is a lights-out closer, and a guy who’s been a rotation anchor for years just loses it overnight. Often these random events are used as a cudgel against analytics and advanced stats. For me, it just enhances the experience of baseball. It’s part of the reason I watch it. If we could predict everything, if numbers and statistics and projections were right all the time, what would be the point? There would be no joy, no fun, nothing to make it unpredictable. We don’t always know what’s going to happen, and that’s what makes baseball great. The anxiety, the white-knuckle at-bats, the roar with two strikes in the bottom of the ninth as we wait to see the pitch. That’s what makes this game so amazing. Vlad and Bo aren’t Travis Snider. They’re great, generational prospects, and worth getting excited about. You don’t need me to tell you that. Maybe they make it, maybe they’re superstars, anchoring the lineup well beyond when Snider hangs up his cleats. Maybe they don’t. But their paths aren’t the same as his. It’s okay to be excited, and let others be excited about them. I’m not excited yet, because I still have work to do. I need to let go of Travis Snider, the Jays prospect I pinned my hopes and dreams on, the one I was sure was going to make it. I need to stop letting my own disappointment over him cloud my judgement when I look at prospects. I can be excited about Vlad and Bo. I don’t need to avoid the highlights, the breathless articles, the constant fawning that makes me wince a little. I need to get over myself, and the fear of their failure. I want to let go. I don’t know if I know how. But I want to. Good read……J.P. was stung by crticism of how he could only draft high floor/low ceiling/highly signable college guys, and felt the need to rush Snider to prove that wrong. This management group won’t make that same mistake. There is a whole department overseeing Bo and Vladdy’s competitive, emotional, and physical development. They will arrive in MLB when they’re ready, and not a day before.